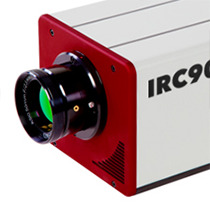 The IRC906SLS is the latest addition to IRCamera’s line of Closed Cycle Stirling Cooled Cameras. High sensitivity and a broadband response from 2 µm to 10.5 µm make the IRC906SLS well suited for Chemical Detection and Analysis, Target Signature Characterization and Spectroscopy applications. The IRC906SLS is like having two cameras in one – an optional embedded filter wheel allows the user to select specific wavelengths of interest in both the MWIR and LWIR regions, taking full advantage of the extended wavelength response of the SLS sensor. The combination of a high performance digital sensor, along with the standard broadband spectral response of the SLS material, results in a truly unique infrared camera.